Drivers in Florida are often subjected to drunk driving checkpoints, but a lawyer says the stops are unconstitutional and is giving drivers tips to flout the checks. That’s leading to complaints and concern from law enforcement. Boca Raton lawyer Warren Redlich claims the commonly used checkpoints violate drivers’ Fourth Amendment right against unreasonable search and seizure, and has launched methods for subverting the checks. 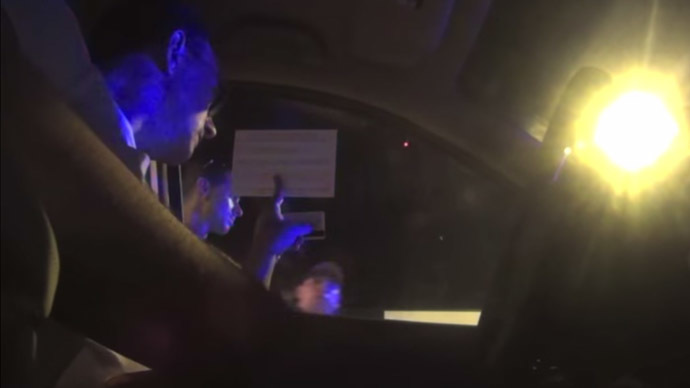 Redlich argues that drivers never have to speak to police or even roll down their windows at the checkpoints – they just have to place their license and registration on the glass along with a note saying they have no comment, won’t permit a search, and want a lawyer. The lawyer has posted videos demonstrating the instructions, as well as ways not to interact with police. The videos he said have been viewed more than two million times. “The point of the card is, you are affirmatively asserting your rights without having to speak to the police and without opening your window,” Redlich told the Associated Press. Redlich said his goal is not to protect drunk drivers, but to protect the innocent. His experience with his own clients is that even when they passed the breath-alcohol test, they still faced DUI charges because an officer said he detected the smell of alcohol or the person had slurred speech. Law enforcement officials, however, are not pleased about the advice Redlich is offering. They point to a Supreme Court decision in 1990 which says that despite the “intrusion on individual liberties,” being stopped in a DUI checkpoint does not violate a person’s Fourth Amendment protection. The court decided to leave it up to each state to determine whether law officers could use DUI checkpoints. Eleven states passed laws to prohibit roadblocks – Alaska, Idaho, Iowa, Michigan, Minnesota, Oregon, Rhode Island, Texas, Washington, Wisconsin, and Wyoming – while 39 states let them remain. Mothers Against Drunk Driving (MADD), an advocacy group that seeks to educate against driving under the influence of alcohol, said last year that there were 40,677 DUI arrests in Florida which led to 26,291 convictions. The National Highway Traffic Safety Administration reported that in 2013, drunk driving fatalities still topped 10,000. Redlich says he is a supporter of law enforcement but not of police overreach.